MTN’s video-on-demand (VOD) strategy in the South African market has not worked as expected and will now be radically overhauled. 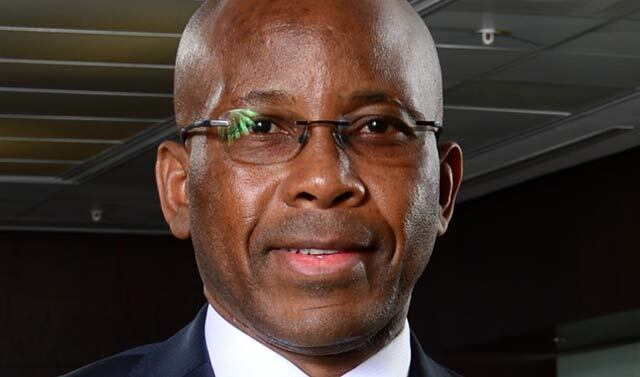 That’s the word from MTN South Africa CEO Mteto Nyati, who was speaking to TechCentral on the sidelines of the MTN group’s 2015 financial results presentation in Johannesburg on Thursday. “We are right now in the process of driving through a new strategy to the group board,” Nyati said. Nyati’s remarks come just three months after MTN rebranded its VOD platform from FrontRow to VU (pronouncing “view”) and cut the price of the service to match rivals’ fees. MTN launched the service in partnership with Discover Digital. MTN zero-rates or doesn’t charge for data used accessing its VOD platform, providing users do so through its network. Nyati didn’t disclose how many subscribers had signed up for MTN VU, but admitted it had not met expectations. “However, this has helped us to shape the new way we are going to go into that space,” he said. He emphasised that MTN would not back away from the VOD market. “It’s an important space and we will not back off from it. Our approach will be more of an aggregator of content. The approach will be largely about subscribers and driving volumes to increase scale. We are going to be leading with free [offerings],” Nyati said. He said the partnership with Discover Digital “still stands”, but declined to comment on whether this might change in future. He said MTN VU subscribers should not be concerned about what the company has planned. He declined to say when forthcoming changes will be announced and rolled out. MTN VU currently offers subscribers access to streaming content from all six Hollywood studios, along with programming from BBC Worldwide, Endemol and Freemantle. Well we will have to wait and see, if they had a superior reliable network I think they would go far but I guess we’ll have to wait and see. Actually the service has gone exactly as anyone with half a brain expected – it failed miserably. Maybe the ‘strategy rethink’ will include the insight that MTN is a telecoms operator not a TV broadcaster. Stick to the knitting guys! Where did I miss something? Both MTN and Vodacom makes it sound as if they have to implement expansions to their data capabilities at crippling expense to accommodate OTT services like Whatsapp, yet they both keep pushing streaming video services where they don’t even charge for the data? Africa’s first mobile on-demand television service on Monday. Firstly, zero rating their VOD service violates net neutrality. Secondly, they need to provide a catalogue that contains content that people want to watch. Agreed. Media is about content and delivery and this is what both DSTV and Netflix get right. Until MTN reinvent themselves as a media company they’ll only have half of the picture. I’ve been a VU subscriber for the last 6 months. I’ve exhausted their catalog of TV Shows (sure I *could* watch them all), as have my kids and the movies are all old, unless I rent (but I dont have to pay R100 pm for that). Over the period not a significant number of new shows added, only movies to rent. I’ve fully appreciated their zero rating of data (done about 40GB pm) and would continue if the title choice were expanding. Lucky we don’t have net neutrality rules in South Africa. Sure, I was just pointing it out. I don’t think we should take it that far with Net Neutrality, I mean we complain about data being expensive and now it’s zero rated to watch these shows but we still complain?! then what could be the solution according to you Wayne? The answer is that mod VOD consumption should push data prices down. MTN et al are trying to compete at home against fibre and ADSL without trying to match those providers with price. I would rather have cheaper bandwidth and be able to watch whatever VOD provider that I want than have one crappy VOD service being pushed over free bandwidth. Good point MTN and all of them are not MEDIA COMPANIES, just OLD BOYS who copy cat business models, there is no R & D in these companies, that they could not anticipate all of this is BAMBOOZLING.